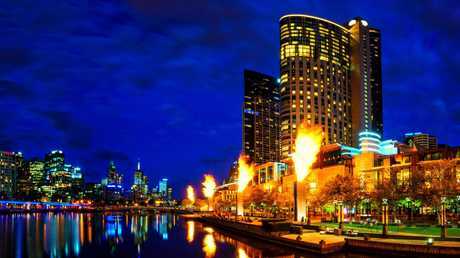 A Las Vegas resort empire has made a play for the James Packer-backed Crown Casino in a merger deal potentially worth $10 billion. The local casino business confirmed on Tuesday it was in talks with Wynn Resorts, which has hotels in Las Vegas, Boston and Macau. "Crown confirms that it is in confidential discussions with Wynn regarding a potential change of control transaction following approaches to Crown by Wynn," Crown said in a statement released to the ASX. The company said the proposed merger would be completed through a combination of cash and Wynn shares. "The discussions between Crown and Wynn are at a preliminary stage, and no agreement has been reached between the parties in relation to the structure, valuer terms of a transaction," said Crown. Mr Packer’s company owns 46.1 per cent of Crown Casino. 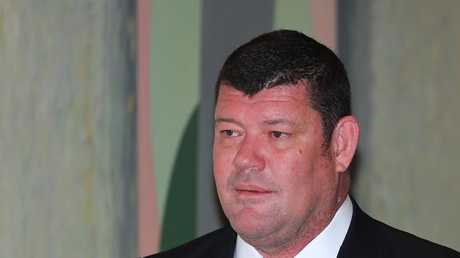 Mr Packer's Consolidated Press Holdings company owns a 46.1 per cent stake in the Crown business. The proposed deal from Wynn has an implied value of $14.75 per share, which represents a 25.6 per cent premium to the stock's $11.74 price before trade was paused ahead of the announcement. Crown, with its stable of hotels in Melbourne, Perth, London and a luxury resort development in Sydney's Barangaroo due to be completed in 2021, would be a significant addition to the Wynn empire. After the announcement of the proposed merger, the gambling firm's share value soared. The third generation tycoon had a highly publicised break up with former partner Mariah Carey. Mr Packer quit the Crown board in March 2018 after a nightmare period for the third generation tycoon, which included a highly publicised split with Mariah Carey and legal dramas from his involvement in business deals in Macua. The split came within days of the arrest of 19 of Mr Packer's Crown Resorts employees in Shanghai for allegedly chasing high roller gamblers. Crown sold its interests in joint-venture casinos in Macau soon after. The Chinese Government, which deems gambling illegal, released the staffers and fined Crown $1.67m.